If you are asking about parking in Les Contamines then you will have no problem if you are fairly early - say before 10. Even you are later you should be fine but at busy times in good weather you can see the car parks full and cars parked a long way down the road by noon. THe good news is that this is the limiting factor - get up the mountain and it seldom feels busy. When I was there 2 or 3 weeks ago we got this discount using my 3 day pass. How are conditions now with the heat going up? Next weeks forecasts doesnt seem to improve at all and its now actually keeping me awake at night. Sunshine forecast or at least next 10 days. Perfect and springlike snow, bitter in the evening and overnight. What's bitter, weather-wise? Seen Chamonix meteo using it all the time as a description. Is it Cold? Freezing? Just below nice? Beer-outside-with-a-thin-jacket-temp? Yep, thanks, I know I've got the little card with the 3no tear off day pass coupons, but I was just wanting confirmation from someone who's got them in their hand that they cover Morzine still. Are you near yours? @Meltus, Thx. I'll let her know it's on. Think she's after showing off a bit to be fair. Trouble is she skis a lot with other kids who've done 6wks++ a year for a decade, and some of them are really bloody good. The chance to ski with couple of girls from her 'new school' year who are 1wk a year and on their 4th year'ish seems to be appealing to her. @midgetbiker, yep, we used ours 2 weeks ago. @staffsan, -8C outside my front door at 08h30 this morning bitter. Belay jackets on for when the sun goes down and walking down to town for beers. Im out for half term madness and thought about going to Courmayeur with the family tomorrow. When i went a few weeks ago it was somewhat snowless. Hi there, I imagine it will still be decent. They had a good amount fall earlier this week and we enjoyed Monday-Thursday there...good on piste and off although of course softening up by Thursday. It's usually busy there on the weekend so perhaps Monday onward might be better. Can anyone recommend me somewhere that can do a good overnight ski service? Need full base grind and re-texture etc..
Based nr Cham sud and want someone who'll actually check angles etc and service *my* skis rafter than just chuck them through the Wintersteiger on generic rental setting. They are just behind the Midi cable car. Just ask nicely. @jma Alex at Chamonix Ski on route des pecles knows his stuff and is very reasonably priced. Thanks both. No problem with them going through a machine, it's what they need tbh, just want to know it'll get setup properly! In a rare moment of spontaneity (57 year old, family, responsibilities), I've booked a solo 4 night trip to Chamonix mid-March. Last there over 15 years ago, carrying a football-related knee injury but managed - and enjoyed - the VB all the same. I've got no overwhelming need for company - although not a complete sociopath - and will research more detailed routes over the next few days but I'm wanting to make sure I get the most out of the 3 1/2 days I should have on the mountain. I'm thinking perhaps Courmayeur for a day, Vallee Blanche again and somewhere else. What are the views of those with more recent experience of the place? Staying in the middle of Chamonix. Apologies, I'm guessing this is completely the wrong thread to post this. I'll get some coffee and consider the options. Argentiere always has the best snow but the attraction is more off piste there. Again definitely worth a full day I would have thought. Le tour and la balme nice and gentle and underrated. Wouldn't bother with les houches. Not sure courmayeur worth it with current snow? Anyone able to report on Chamonix snow conditions? @Neillp, sorry no info on pistes but I did a quick VB on Sunday and it was lovely. Not many people plus the snow was light and chalky. Where there were some moguls they were soft and not too big. One slightly tricky section in the icefall but there may have been an easier way. Didn't do the james bond as I’d been told there were a couple of walking sections. @jbob, Thanks Did consider doing the VB but not sure I am up to it, last couple of trip I have been stuck skiing with the family on blues. Out with the lads this time so will be stepping it up a bit. I might head over to Les Contamines for a day as well as want to reccy it for next years family trip. The snow looks good there on the webcams. 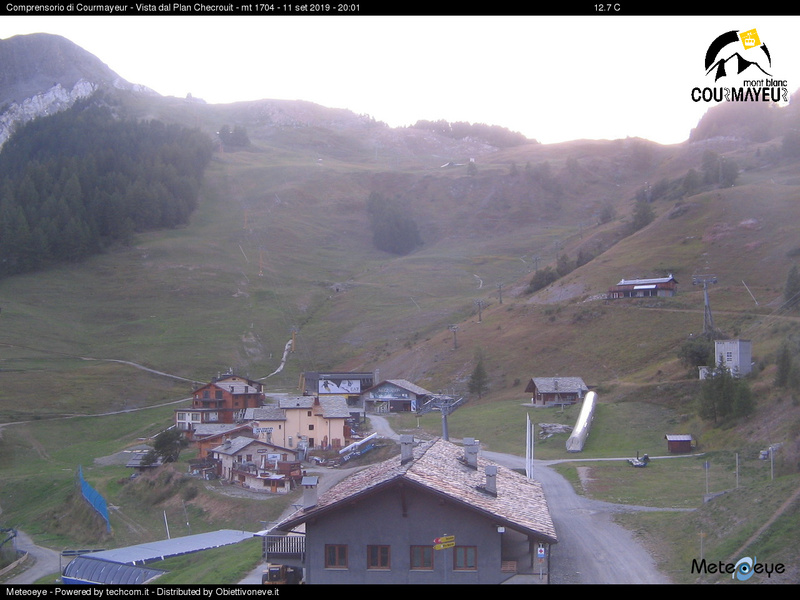 snow on piste isn't good at the moment imo though we're due a mixture of rain and snow over the coming days so conditions are up in the air depending on where the snowline ends up. Lower section of voie normale is a bit of a mogul field and they're pretty big now. Dodged rocks after the 2nd flat to montenvers. Thanks any idea which area is hold up the best? Chamonix meteo currently has the snow limit at 1800m on Friday when we're due some precipitation so hopefully with a fresh top up, everywhere could be ok. Grand Montets is the highest so will have the best of it. @Meltus, depends on your definition of "good". Our clients are reporting having a lovely time (on piste under azure blue skies). I can think of worse. I have spent the day in Dundee. Home next week. What I am really worried about are the Nordic tracks. Being my daily exercise, or intended to be...!! Terrible day up at GM today... Not! Boot to knee deep fresh snow everywhere, stayed fairly light and soft above lognan all day, got a little heavy down Pierre-a-ric later on. Several laps of Bochard and Herse am and a well-earned Cremerie lunch. A great day! @under a new name, Nordic tracks will have had a decent top up yesterday and overnight - snowline was at about Cham town level - but it got dramatically warmer this afternoon..
anyone up there? Thinking of going for the weekend. Saw that some snow is forecasted for tmrw, but Iam a bit worried about visibility. Looks like the snow line has been hovering around 1,400m. Rained pretty consistently in town until lunchtime and it's stopped now. If the forecast is correct, vis is going to be an issue.